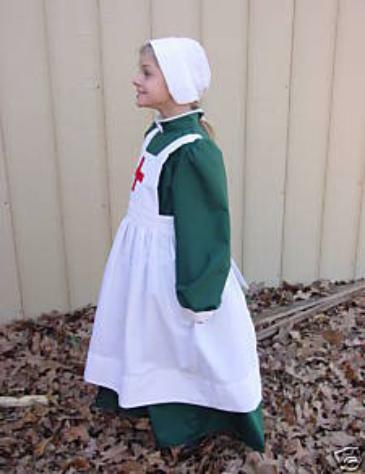 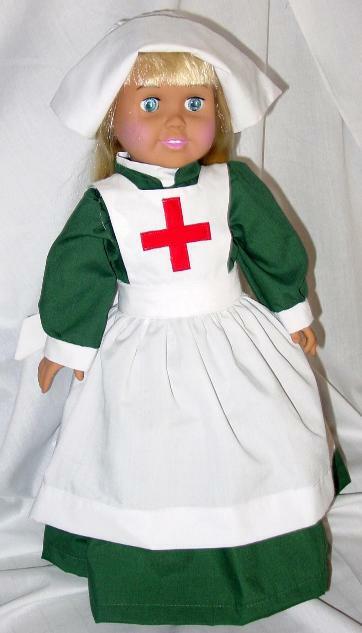 This 3 piece costume includes the dress, pinafore, and bonnet. 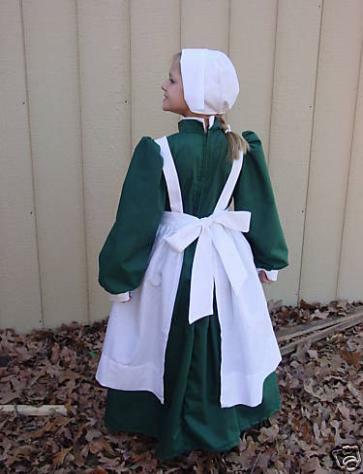 green, and the back opens with a zipper. 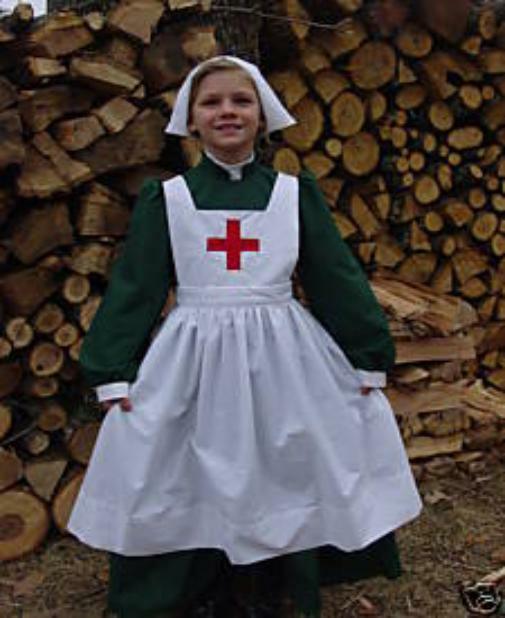 that ties in the back at the waist, and the little Red Cross is appliqued on the top.